iBlade, a startup specializing in customized repair and service solutions, is at LIGNA 2017 to present SawControl 800V2 pro, a fully automatic control and measuring system for circular saw blades. 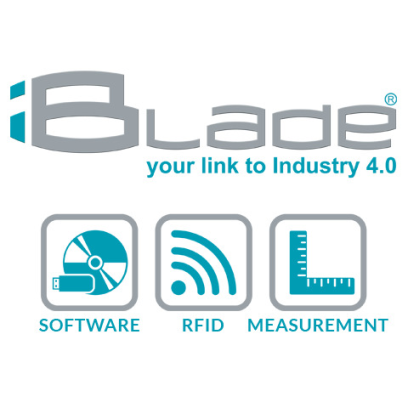 The designers at iBlade, based in Kolbermoor, Germany, are the perfect partner for industry-specific customized solutions for automatic identification and measurement and optimum management of tools. They are committed to ensuring smooth production processes along value chains in the wood industry. For example, machining processes must not be impaired by poor tool processing. Precise quality control is needed to ensure this. iBlade is in Hannover to showcase its SawControl 800V2 pro, a fully automatic control and measuring system for circular saw blades that can be used to measure saw blades with diameters from 200 to 800 mm. Various reducing rings fix the saw blades onto the flange of the SawControl 800V2 pro using magnets to measure the following parameters when inspecting the saw blade teeth - hook angle, top clearance angle, tangential clearance angle, radial clearance angle, tooth geometry, shaft angle, kerf, body thickness, tooth length, tooth width and runout. The patented four-camera system of the SawControl 800V2 pro features an integrated measurement method for axis, tangential and radial angles that doesn't require manual changes to the configuration. Optical distortions are also corrected using the software developed by iBlade. The measurement data is assigned to the appropriate tooth group thanks to intelligent geometry detection, and irregularities are highlighted quickly and easily through clearly structured reporting. The system calibrates itself fully automatically using the calibration disk included in the scope of supply and meets the latest ISO requirements.